Project Background: Senegal is deficient of fossil fuel and hydroelectricity, it’s a country in desperate needs of solar irrigation pumps and drinkable desalting seawater. 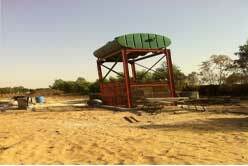 By far, in many farmlands of Senegal, the irrigation water is still lifted and transported by manual work. 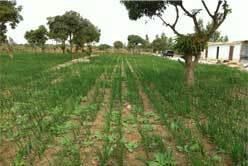 Senegal is developing a national agriculture investment plan, which is based on poverty reduction strategy, rapid growth strategy and frame of reference on agriculture, forest and husbandry. The primary goal of the plan is raising agriculture productivity and the competitiveness of farm products by implementing agricultural diversification, to reduce the poverty of rural areas significantly by 2015, in order to promote the development of national economy. 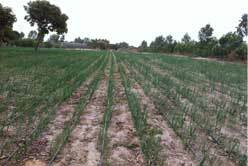 Solution: Solartech solar pumping system PSA1500-1 with solar pumping control box PC-L2/A was applied in this project for full-automatic drip irrigation of the onion and peanut fields, the installation was completed in February, 2013. Solartech is the supplier of all the solar pumping system equipment and the the blueprint of solar array mounting structure. The solar pumping system lifts water from a borehole at 5m depth and then push water to a 5m height water tank, it can produce water 100 cubic meters daily by solar energy only. The solar pumping control box PC-H2/A can ensure users to apply grid or diesel generator as back-up of solar array in bad sunshine conditions, it not only simplified the system wiring but also can reduce the system cost in the requirement of supplying more water daily in dry seasons. 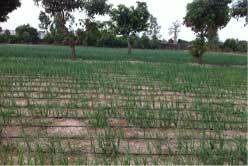 “We are very happy and delighted by Solartech’s invitation, it makes the daily runnings of our farm much more easy. 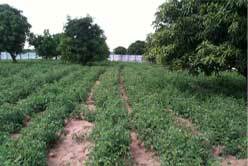 Comparing to traditional energy, solar agriculture and solar water conservancy have great investment space to develop. We are going to find potential solar pumping projects nationwide to work on together with Solartech.” Said by Solartech local Distribution Agent (owner of the farm).
" 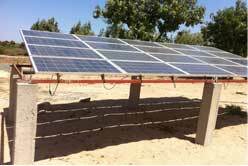 Solartech solar pumping system can help farmers get rid of suffering, enable Senegal to benefit from it. We are establishing Committee of Management in collaboration with the Ministry of Renewable Energy to help people adopt this reliable and ecologic system to fight against poverty and improve social economy. Farewell to the old days, now we have solar renewable energy to reduce the dependence on diesel powered pumps." Said by a director of Senegal Ministry of Renewable Energy. The value of technology embodies in true services to humankind. 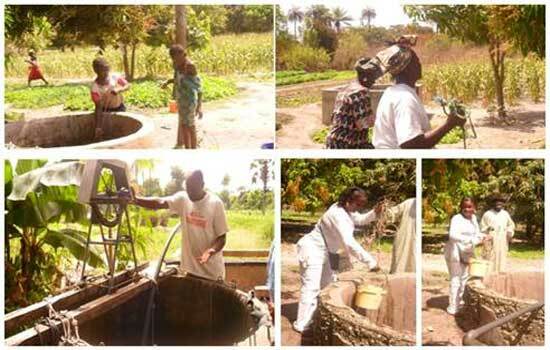 Solartech solar pumping system’s application in Senegal has improved the quality of life for the local people. Economic Benefits: 4,380kWh of electricity generated annually; 41.2 tons of coal saving in its 25-year service life; 18.1 tons of CO2, 0.82 tons of SO2, 0.62 tons of smoke and 10.7 tons of ash reductions in its 25-year service life. According to World Development Indicators 2011 published by World Bank, every cubic meter of water consumption could contribute 3 USD to Senegal's GDP, in the system 25-year service life, over 912,500 cubic meters of water can be produced by solar energy.